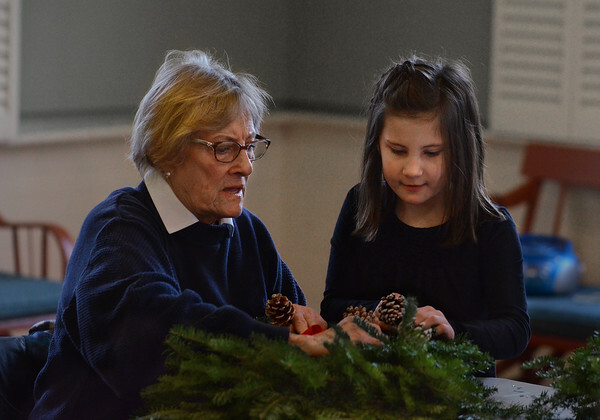 Joan Howard works on a holiday wreath with help from her granddaughter Scarlet Lee, 6, during a wreath-making workshop Tuesday at the Rockport Senior Center. The class, taught by florist Brendan Loughman of Audrey's Flower Shop in Gloucester, is a popular holiday-season tradition at the center. About 30 people signed up this year, making it necessary to hold the workshop in two sessions.